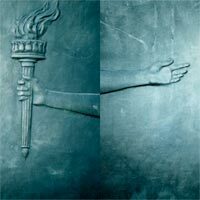 To date, this is the last Fugazi record and one could argue the most dynamic. Songs such as “Cashout”, “Argument”, and the eerie “Strangelight” stick out as the most memorable on this recut LP that was pressed at RTI. Re-issued with an MP3 download coupon.